Dinner with the King Recap - Heel Vince McMahon in Memphis Wrestling, Paige Situation, Will McMahon Ever Retire? More! Dinner with the King Recap – Heel Vince McMahon in Memphis Wrestling, Paige Situation, Will McMahon Ever Retire? More! Lawler is joined on today’s show by his co-host Glenn Moore. Lawler opens today’s show by sending his thoughts and prayers out to his friend Jim Ross and his wife Jan, who was involved in a terrible accident over the weekend which left her in critical condition, and eventually took her life. Moore asks Lawler if he ever thought he’d be standing at a WWE podium, introducing Jim Cornette as a HOF inductor. Lawler laughs and says this might turn out to be a ‘clusterf***’, but he’s hoping for the best. He recalls Cornette breaking into the business as a photographer and eventually transitioning into a management role many years ago. Lawler has known Cornette his whole life and even though you mightn’t agree with everything he says, you have to respect the fact that he doesn’t have a filter. No matter what Cornette says at the HOF induction ceremony, there’s no doubt that it will be entertaining. Moore wonders if it was McMahon’s decision to ask Cornette to induct the Rock N’ Roll Express, or if Triple H may have acted as a middle man here. Lawler says that in the end McMahon is a businessman, and a good businessman never lets his personal feelings interfere with making money or putting out a quality product. McMahon has proven multiple times during his career that he has no issue mending fences in the name of good business. 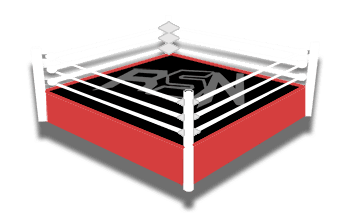 Bischoff on Wrestling Recap w/ Jake Roberts Pt. 2 – Critically Acclaimed Documentary, DDP Saving His Life, Foley’s Role in WWE, More!